Original Little Kids Metallic Wellington Boots is rated 5.0 out of 5 by 6. A mini version of the iconic Original Tall Boot, this little kids welly is a dream for tiny feet. 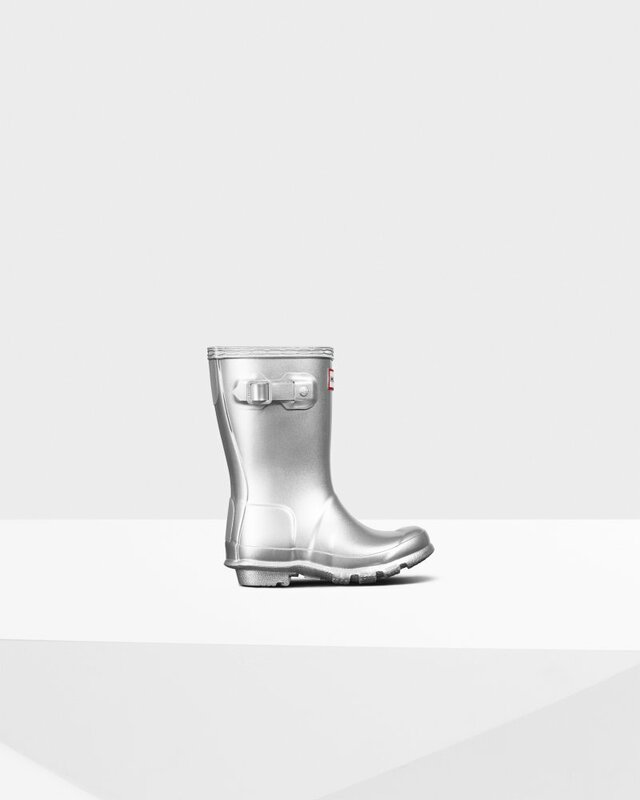 Handcrafted from natural rubber, the Original Little Kids Metallic Boot adds a shimmer to rainy days with a shiny silver finish. Designed for adventures, this specialised kids welly is highly resistant to wear and abrasion. With the added safety of reflective patches and the Hunter Original tread you can let your little explorers take on the elements whatever the weather.